The Vortex Blue Internal 21kW Combi is an oil boiler which has been designed and manufactured by Grant. This is a floor standing unit which uses condensing technology to deliver a highly reliable and efficient performance. 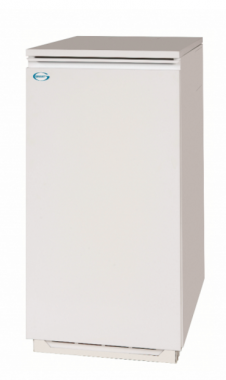 As a Combi boiler it is ideal for for smaller properties as it does not require an external water tank or cylinder; everything is wrapped up in one cost effective unit.